Slimz Item Builds Guide for Arena of Valor (AoV). Each build is geared toward a different play style, so choose one that fits your personal preference. Claves Sancti Claves Sancti is a very strong item for marksmen, dramatically increasing their damage output. It provides a lethal combination of attack damage and critical chance, making the attacker’s normal attacks come in hard and heavy. In addition, the item amplifies the effectiveness of critical strikes. Slimz likes to build several items with critical damage, so amplifying the damage of each critical shot is a huge bonus to the Trustworthy. 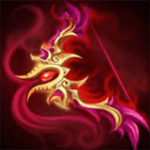 Fafnir’s Talon The passive that Fafnir’s Talon offers stacks with Slimz’s ultimate, making him an even more formidable force against tanks. The stats that the item offers are all great fits to Slimｚ as well, he always benefitting from attack speed, damage, and life steal. Slikk’s Sting Slikk’s Sting goes beautifully with Claves Sancti. It offers a number of nice stats as well as a passive that will make Slimz much more slippery in fights. Whenever the wielder lands a critical strike, they gain 35 resistance for a few seconds. This lowers the amount of time that they would spend slowed or stunned, allowing Slimz to hop away from danger or burst down the would-be attacker. Scorching Wind Slimz is a very competent jungler and thereby can make great use of jungle items. Scorching Wind is the best jungling item for ranged heroes, offering the most both in stats and its passive. Slimz’s ultimate is active for a set amount of time, rather than a set number of attacks. As a result, he benefits a lot from high attack speeds, able to deal more empowered strikes in hs ultimate’s window. The on-hit effect that Scorching Wind offers is a nice bonus, adding one more on hit effect to his already considerable arsenal. Bow of Slaughter Bow of Slaughter can completely swing fights with its ability. The item offers some decent stats, the combination of attack damage and critical chance always very welcome, but more importantly provides the wielder with an active effect. When activated, Bow of Slaughter gives the wielder a full 100% life steal, allowing damage dealers like Slimz the ability to very quickly replenish any health they had lost in the battle. Fenrir’s Tooth When looking solely for large amounts of attack damage, there’s no better choice than Fenrir’s Tooth. If the immense attack boost wasn’t enough, its passive makes the item a fantastic way to finish off foes. Muramasa As a slayer of tanks, Muramasa can be a natural fit for Slimz. Savage Potion will encourage tanks to build armor rather than health when facing Slimz. Muramasa is a good way to counter this armor stacking, slashing away nearly half of the target’s armor. Devil’s Handshake As stated before, Slimz can benefit a lot from a high attack speed. Devil’s Handshake can offer him tons in that regard, providing a huge +80% at full stacks. The added critical chance and movement speed are big helps as well, allowing the mercenary to tear through foes quickly and swiftly travel the map. Blitz Blade Blitz Blade is another item that synergizes with Slimz’s love of attack speed, though additionally offers some damage as well. This comes both in the form of attack damage and a chain burst at the start of an engagement. Death Sickle Death Sickle is a good way to get out of bad situations, especially when paired with movement abilities like Leap of Vitality or with items like Bow of Slaughter. When the wielder would take lethal damage, the damage is negated and they are made invulnerable for a period. Slimz can use this time to either hop away to safety or to activate Bow of Slaughter and replenish his health. War Boots War Boots is a standard pick when looking to build aggressively. The attack speed buff that it offers will help ensure that Slimz makes the most out Savage Potion and Leap of Vitality. Gilded Greaves Get Gilded Greaves if the enemy has a lot of magic damage or crowd control. The resistance it offers will help Slimz slip out of stuns or slows so that he can continue to attack foes or flee to safety. Bow of Slaughter Description coming soon. 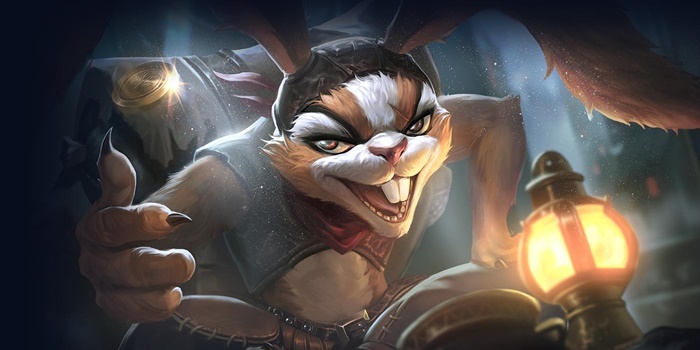 Here we put Slimz in the jungle, taking advantage of his ganking potential and maneuverability to gank the lanes over the course of the match. The grand amounts of attack speed the bow offers are furthered by Slikk’s Sting and War Boots, bringing the mercenary up near the attack speed cap. To ensure that these deal damage when they land we take high damage items like Claves Sancti and Fenrir’s Tooth. Fenrir’s Tooth in particular will do a lot to beef up his attack strength, its narrow array of stats dealt with through the other items’ attack speed buffs. This build puts Slimz in the lane, working on building up his damage through a balance of both attack damage and attack speed. Claves Sancti, Bow of Slaughter, and Fafnir’s Talon will ensure that each of his attacks land for a considerable amount while Slikk’s Sting, War Boots, and Devil’s Handshake will keep them coming quickly. why you make only two sample builds instead three? We are moving away from always making 3 for a hero, especially on those where we have to really stretch to get a third. With the reworking of Soulreaver, I simply deleted the previous Soulreaver centric build.